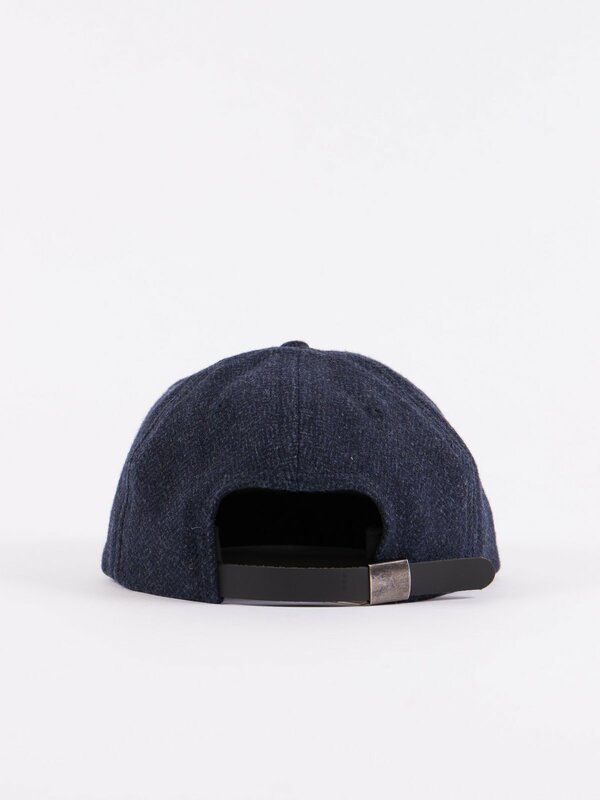 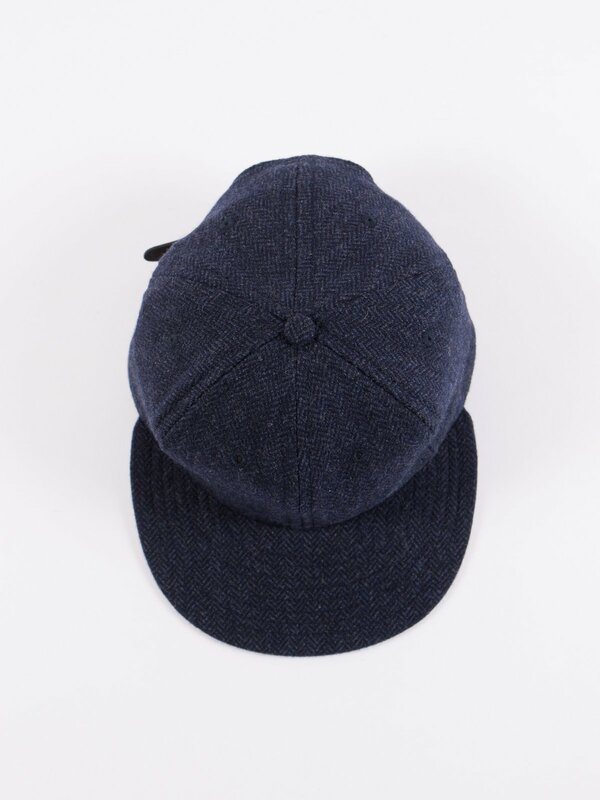 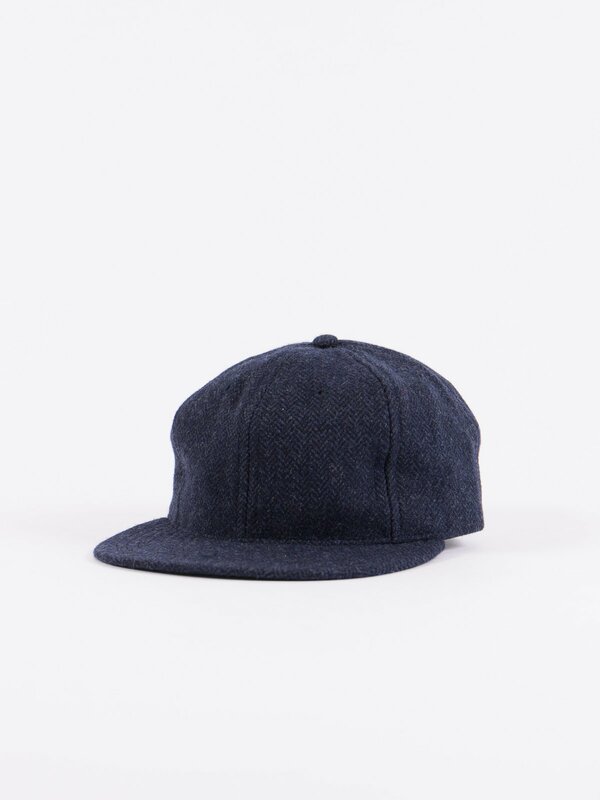 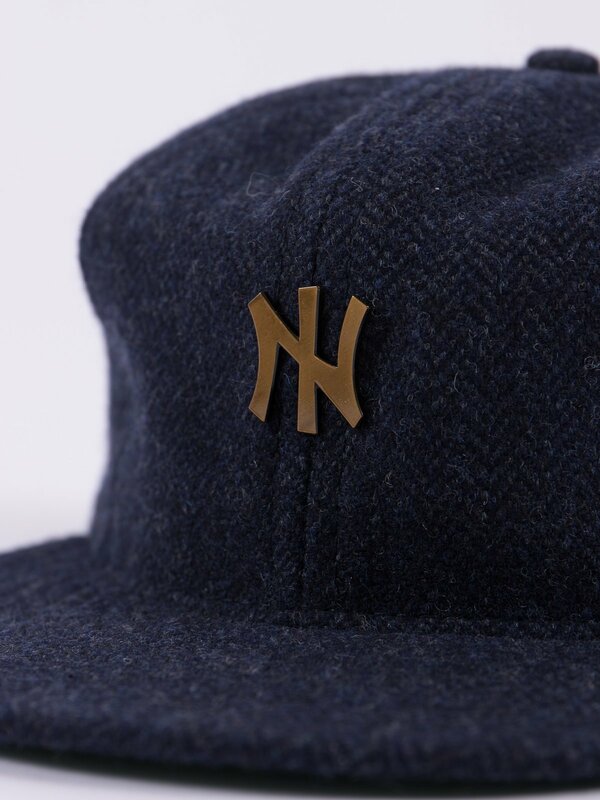 Navy HB Tweed NIer 6 Panel Ballcap. 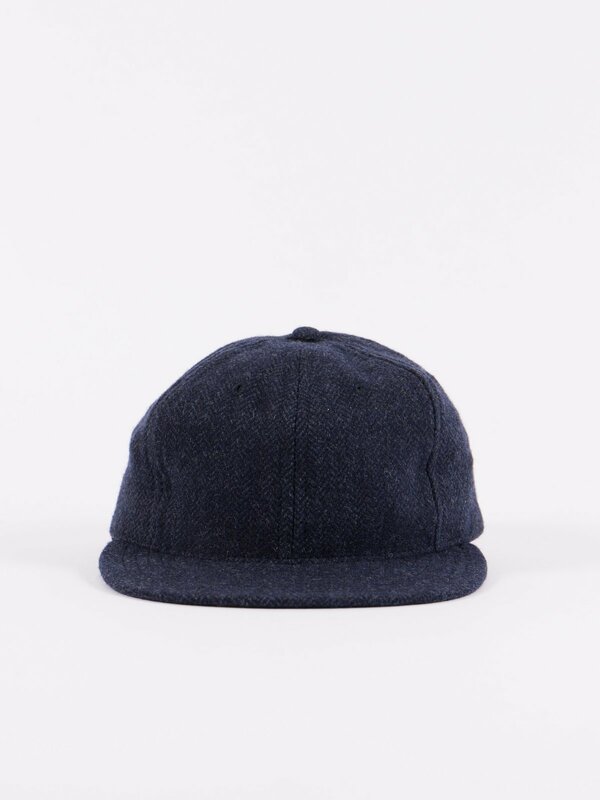 Exclusively made for The Bureau Belfast in a Navy Herringbone Tweed sourced from Molloy & Sons in Donegal. 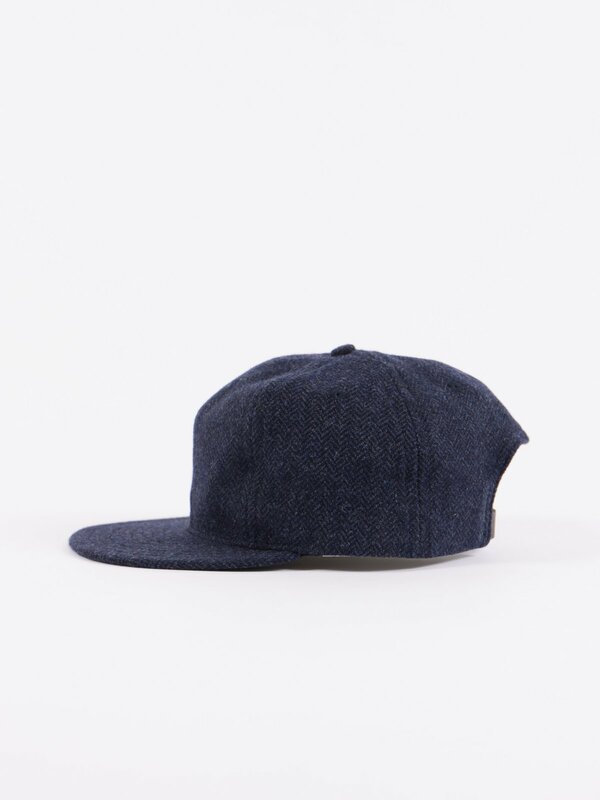 Molloy & Sons manufacture the best tweed on the island, supplying brands such as Visvim and tailors from Saville Row. 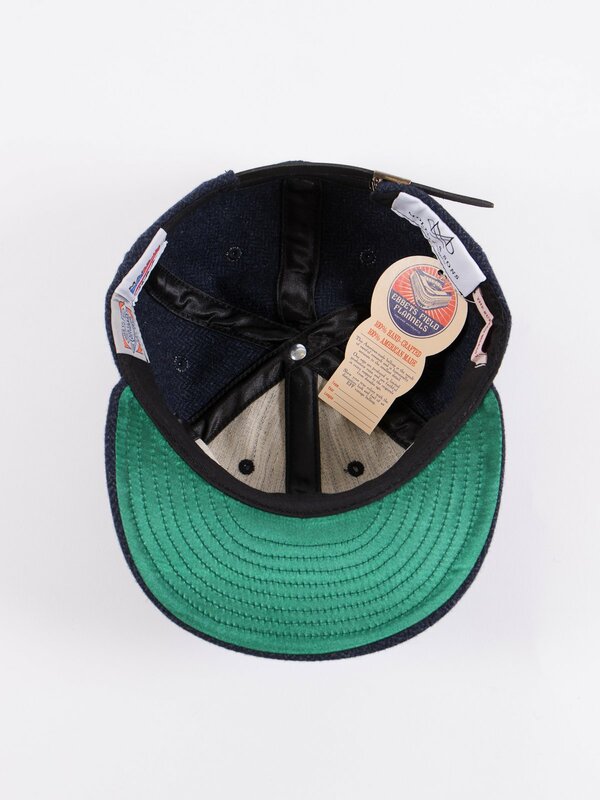 6 Panel Ballcap with a standard 3” visor with green satin undervisor, tonal eyelets and a black leather adjuster with nickel hardware. 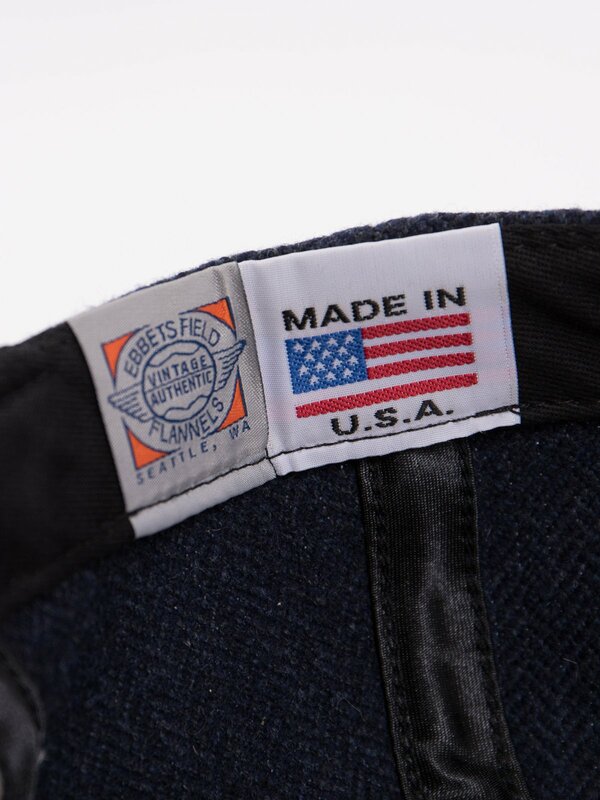 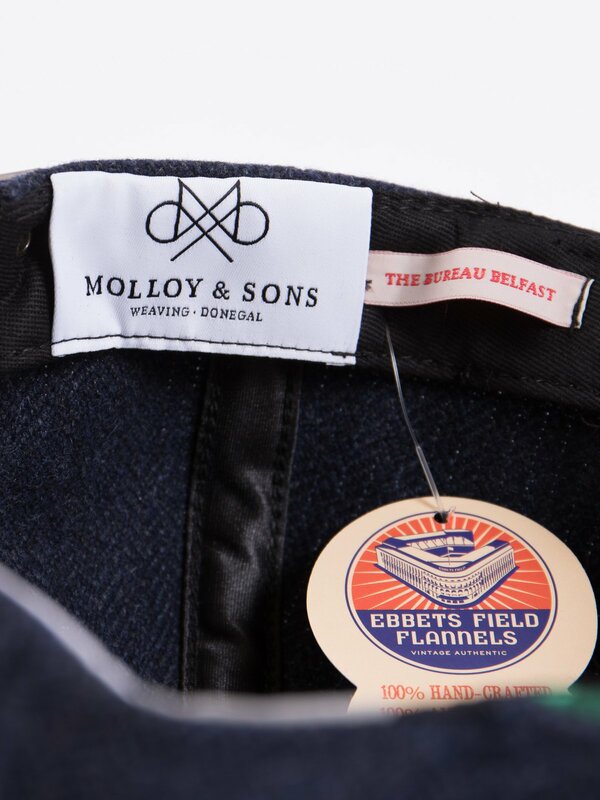 Internal Ebbets Field Flannels, Molloy & Sons and The Bureau co–branding. 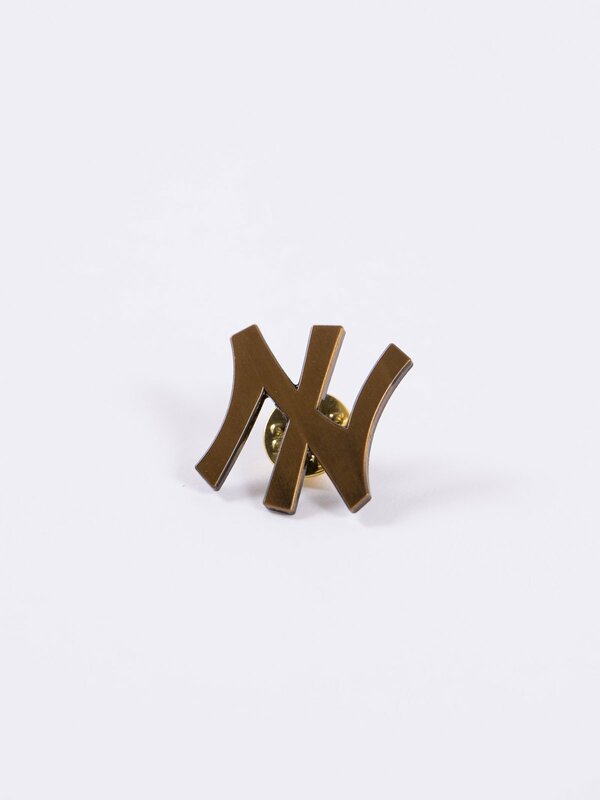 Comes with an exclusive Antique Gold soft enamel “NIer” Pin badge.